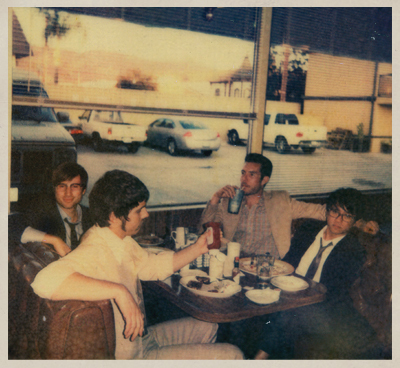 Såint Motel is gearing up to make a huge statement in 2012 at SXSW, and in preparation, their playing a few select tour dates on the West Coast. 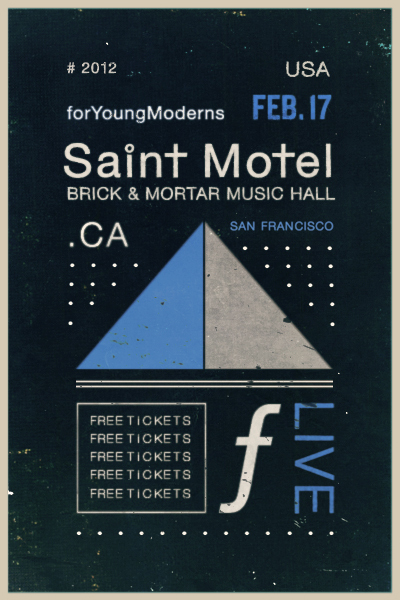 2.17.12, they play the Brick & Mortar Music Hall in San Francisco, USA. As FYM continues our giving spirit in the new year, we would like to send you and a friend to experience this stellar up-and-coming group live for FREE. To enter, simply email our publicist Nick 'To All Tomorrow's Parties' Codling (nick@forYoungModerns.com) with THEY LIVE in the subject line, include your full name in the message, and FYM will randomly select a winner for two tickets to Såint Motel's show! (the winner will be notified Sunday Feb. 12th) Cheers, FYM.